In the south of Amsterdam located just outside the city centre you will find this lovely and very well designed 1 bedroom apartment available for a minimum term of 12 months. The apartment is located on the 3rd floor and has a lovely terrace, very sunny and quiet. Lovely breakfasts and dinners in the summer! The apartment has 1 good size bedroom, very luxurious open fully equipped kitchen and a bright nice living and lounge area. Just around the corner of the RING A2/10 and very good public transport all around. 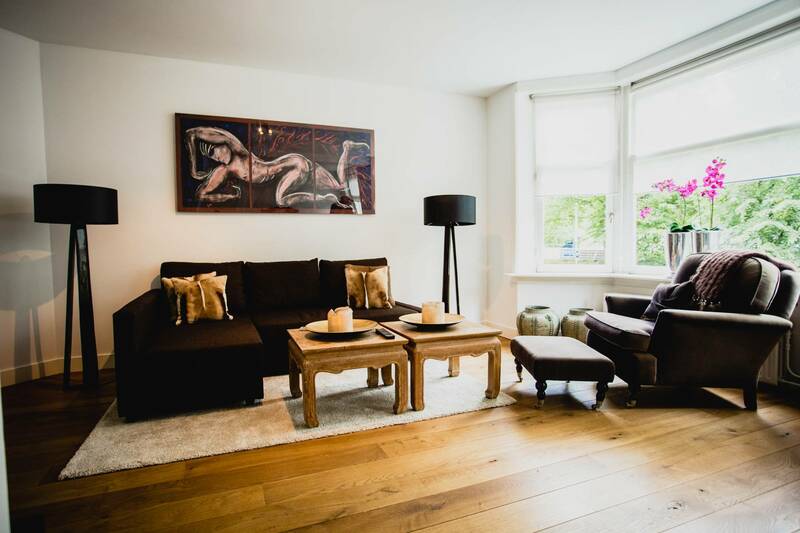 Just a great place in a very nice residential relaxed very popular Amsterdam South location!